University of Arkansas at Monticello Chancellor Karla Hughes announced Monday that it will partner with food service vendor Aramark to bring a Starbucks Coffee experience and convenience store option to campus this fall. 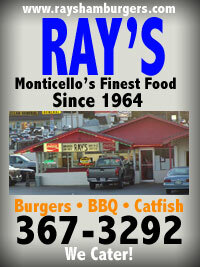 The two new dining options will replace the “Java City” and “Sandwich Shack” facilities located inside Taylor Library. 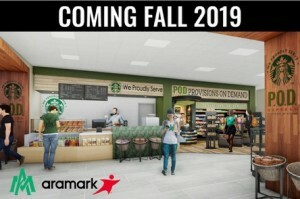 A rendering provided by Aramark shows a Starbucks-branded space that will remove a wall and add completely new finishes. According to Thomas Bedward III, director of campus dining, the Starbucks is considered a “We Proudly Serve” location. This means that while it is not a full licensed franchise, its products and overall customer experience will be almost indistinguishable from a Starbucks Coffee location. The convenience store, “Provisions on Demand,” will be located next to Starbucks and will offer light grab-and-go meal options, snacks, and beverages. Newer article: Lost Pet near Hood Pkg. 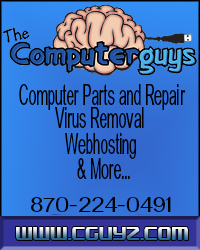 This entry was posted on Monday, April 15th, 2019 at 12:36 pm	and is filed under Ashley County. You can follow any responses to this entry through the RSS 2.0 feed. You can leave a response, or trackback from your own site.